As I was cycling between the Setoda Port and Sunset Beach, I stumbled upon a little Jizo. Jizo are little Buddhist statues (Ksitigarbha) that are littered all over Japan. 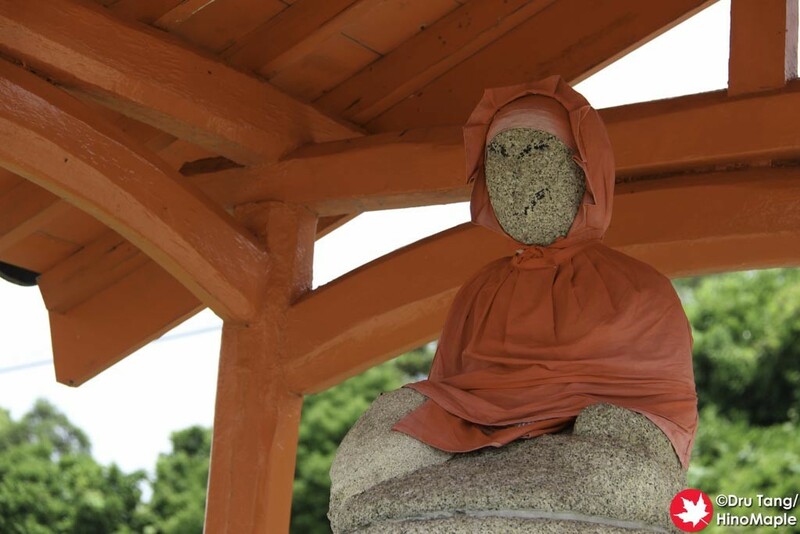 When you find a Jizo, they are usually small ones and they often have cute little red hats on them. I almost missed this interesting Jizo because I was trying to go quickly to Sunset Beach as I was really hungry at the time. This Jizo has one of the best views in the world. 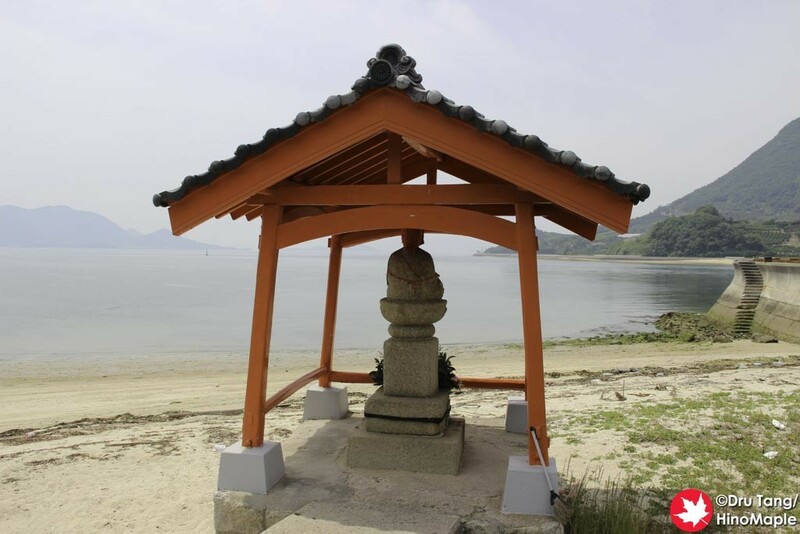 He is at the corner of a nice little beach and he is staring out into the Seto Inland Sea. I just had to stop and take a few pictures and enjoy the view with him. 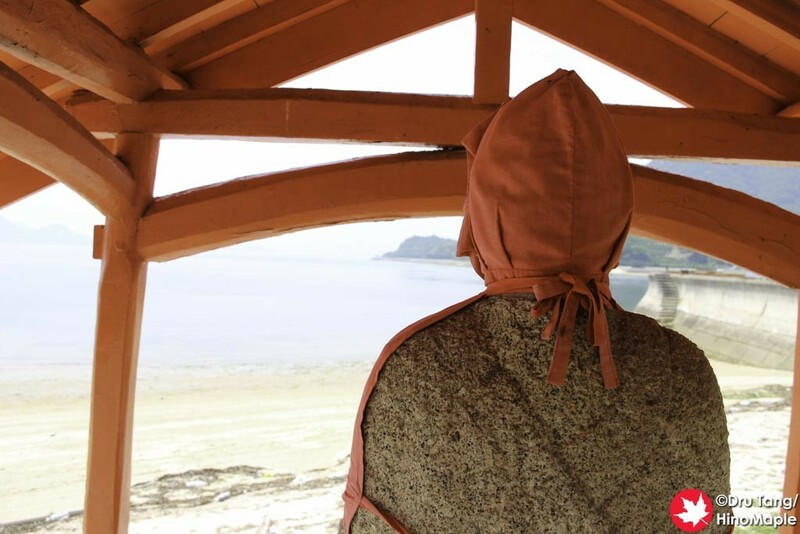 If you are heading to or from Sunset Beach, be sure to take a quick second to enjoy the view with this big Jizo and enjoy the sea air. 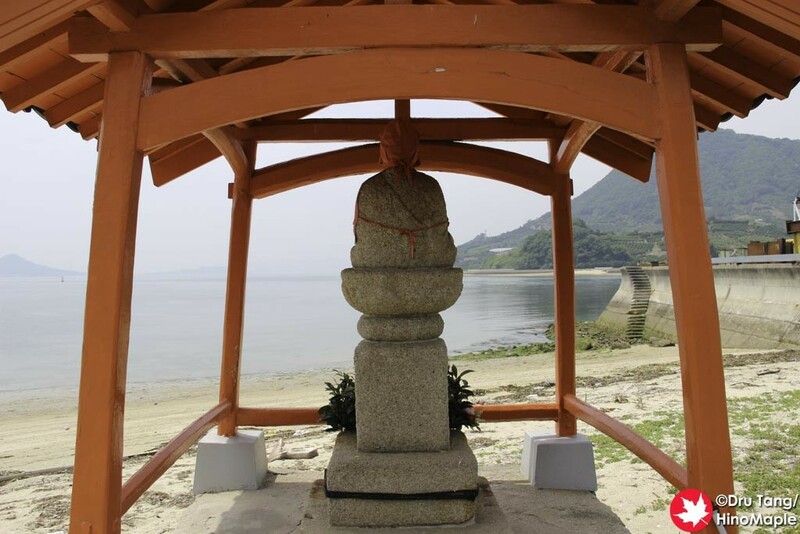 This entry was posted in Chugoku and tagged Buddha, Buddhism, Ikuchijima, japan, Jizo, Seto Inland Sea, Setouchi, Shimanami, Shimanami Kaido, Shimanamikaido by Dru. Bookmark the permalink.